Disclosure: This post is sponsored by Society Culinaria courtesy of Cacique, Inc. However all opinions are our own and the recipe ours, too. We thank you for supporting the brands we love and who help keep this blog alive. 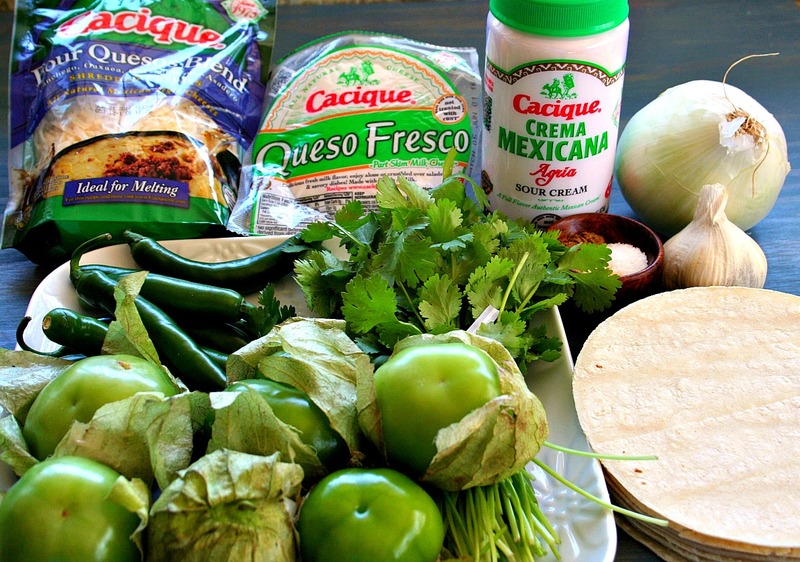 First things first – You can get this recipe on the Cacique website. Click here. Tired of the old Mexican standard of red or green chile chilaquiles? Our Creamy Cilantro Chilaquiles will quickly become one of your family’s favorite breakfast dish for the weekend or any day. Who am I kidding? You’ll also crave these crunchy and cheesy bites for lunch and dinner. I love the mild and buttery flavor of Cacique’s Crema Mexicana Agria. Blending the crema with cilantro, garlic, and serrano chile peppers took my average chilaquiles to a whole new level. Talk about depths of flavor and heat! Chilaquiles are made with fried corn tortilla chips. We make our own, but feel free to cut down on the prep and cooking time by picking up a bag of unsalted tortilla chips. Mix in loads of the Cacique Four Quesos Blend Shredded Cheese, a perfect combination of authentic, Mexican-style cheeses: Manchego, Oaxaca, Quesadilla and Asadero. Together they deliver a smooth, buttery richness that is perfect for this dish, and many others, such as enchiladas, chiles rellenos, omelets, soups, and even salads. Some people stir in shredded chicken or scramble eggs into their chilaquiles. I prefer crumbling Cacique Queso Fresco and placing a fried egg on top. Gently poke the yoke so that the yellow goodness oozes over the spicy and creamy chilaquiles.